Joseph LoDuca (composer, guitars charango, ronroco, cello, bass, duduk, pan pipes, synths); Duffy (voice); Aaron Ashton (violin); Julien Labro (accordion, bandoneon, accordina). Patagonia is a 2010 drama about Y Wladfa, the Welsh colony in Patagonia. This beautiful soundtrack features new and exclusive songs by Duffy, Bryn Terfel & Kirtsy Almeida and is complemented by the breathtaking original score of Joseph LoDuca as well as other well placed tracks from Cate Le Bon, Carlos Gardel & Meic Stevens. PATAGONIA narrates the journeys of two women – one looking for her past, the other for her future. 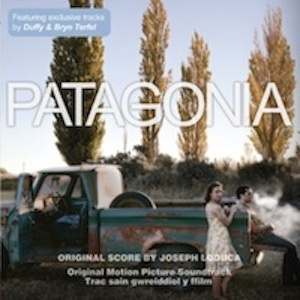 The film intercuts between their stories, in which one of them travels south to north through the Welsh springtime and the other east to west through the Argentine autumn. © 2011 Decca Records, Inc.